Is your motorbike the love of your life? Would you rather spend the weekend riding around town on your motorbike than catching up with your mates? With summer around the corner, are you craving some alone time with your motorbike, exploring the countryside? We feel you! 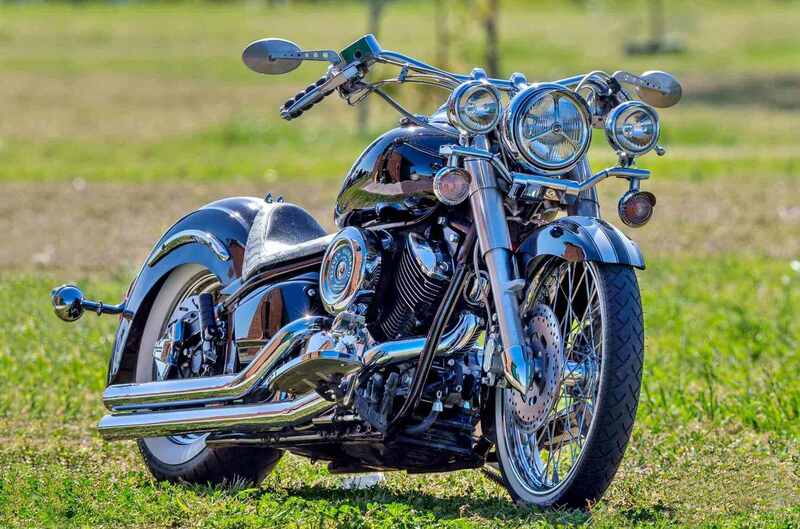 At Detailing Adelaide, we are avid motorbike enthusiasts ourselves and know the joy of having a prized possession that’s the envy of the neighborhood! Your motorbike deserves some TLC every now and then to retain its showroom-like condition. But we understand that you may not always have the time at hand to clean your motorbike. Consequently, we have introduced mobile motorbike cleaning service to take away the pain from maintaining your motorbike’s pristine condition. Detailing Adelaide have experienced motorbike detailers in every Adelaide suburb and council area. This saves you $$$ and time as you don’t have to pay for travel of our detailer for your job. We have cleaned all makes and models of motorbikes – from KTM to Honda to Harleys. At Detailing Adelaide, we use superior quality Auto Glym Motorcycle Cleaner which comprises of a water-based formula for deep clean of even the tiniest of areas on your motorbike. Furthermore, this cleaner has anti-corrosion properties and protects your motorbike from rusting. Your motorbike is probably one of the most expensive things you own, so why not let us help keep it in good condition! Give us a call today for an obligation FREE quote.